Yesterday I traveled to Kent State University and with a friend walked around the campus looking for photo ops while also visiting the Kent State May 4th Memorial site. 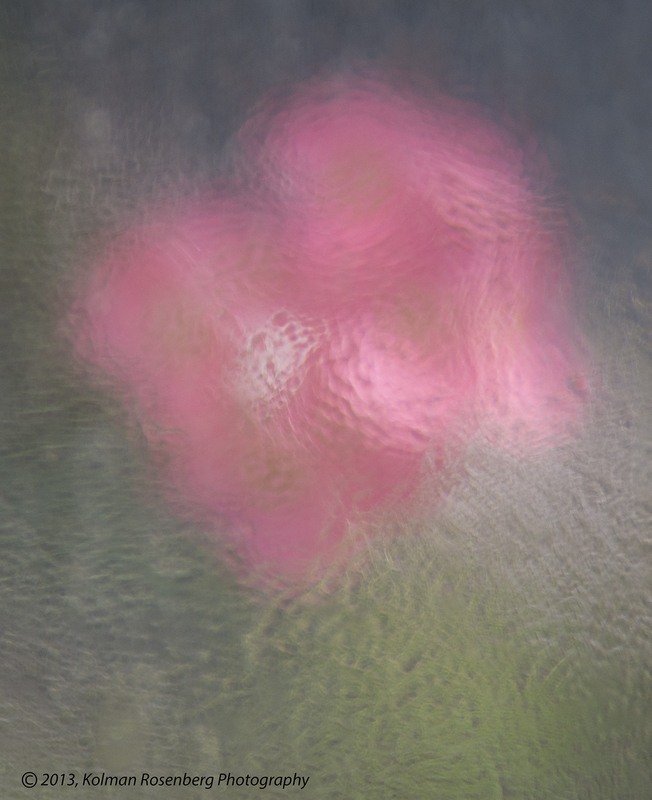 We came upon a greenhouse and found these beautiful pink flowers peeking thru the glass condensation covered windows. 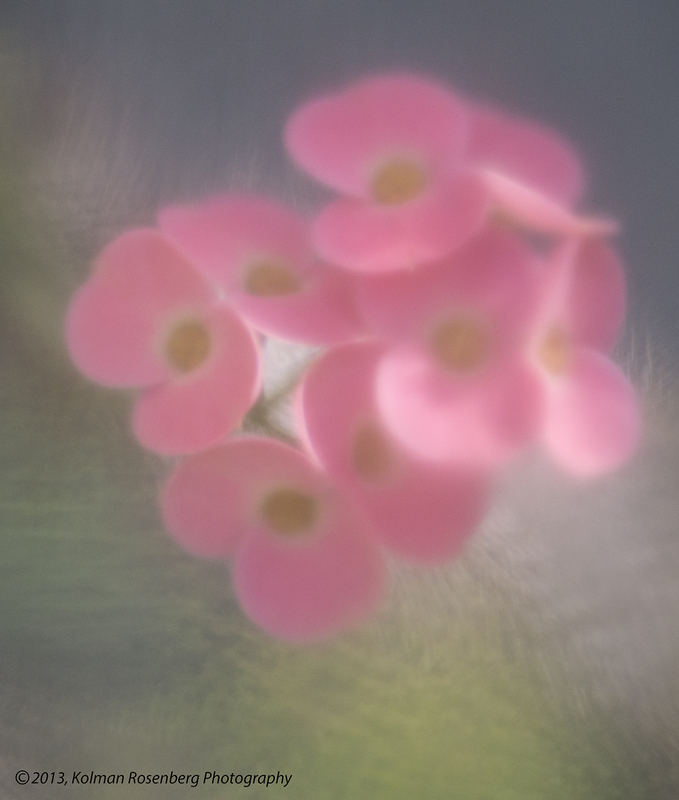 This presents a problem for autofocus lenses because the lens can focus on the flowers, as it primarily did on this photo, or on the water droplets, which it did in this second photo. Often in these cases the autofocus will shift back and forth and it becomes necessary to shift to manual focus in order to focus on your desired subject. Another similar shot from a few years ago, at the James A. Garfield home, Lawnfield, in Mentor, OH, was shot thru a window covered with melted snow droplets. 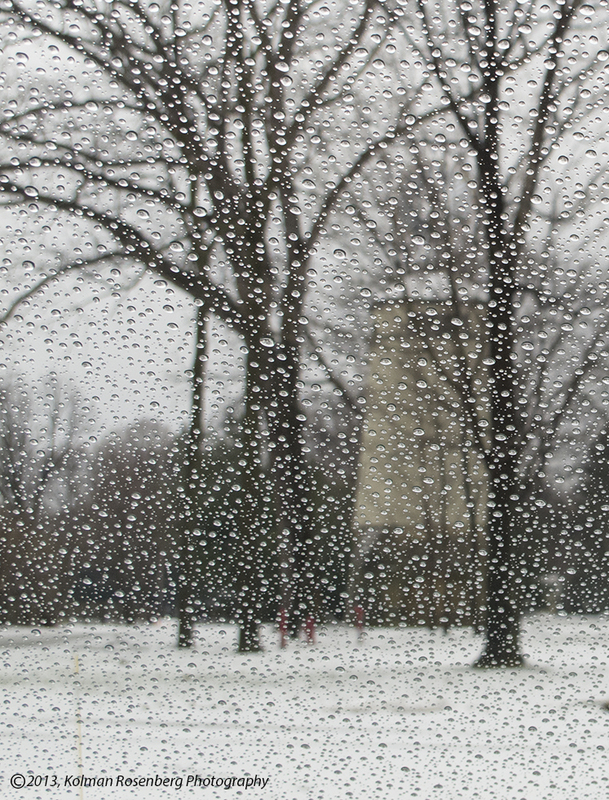 In this photo, the water droplets on the window are in sharp focus and in the background is a snow covered background with trees and a large windmill structure. A very different effect with the water droplets sharply focused. 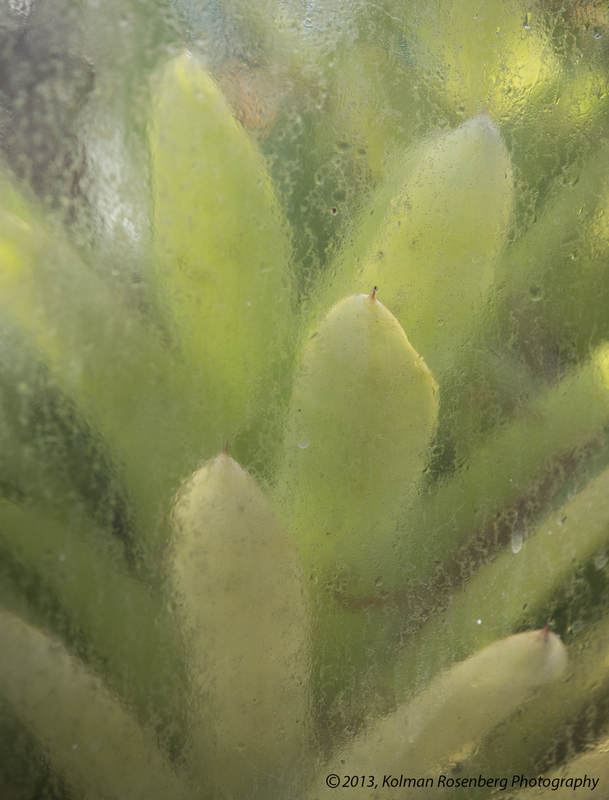 The last image is back at Kent State with a succulent plant seen thru the greenhouse glass. All interesting looks and beautiful muted colors, shot thru wet glass. I think I’ll look for these photo opportunities more often now! This entry was posted in Uncategorized and tagged campus, colors, droplet, flower, focus, Garfield, glass, greenhouse, James A. Garfield, Kent, Kent State University, Lawnfield, May 4th Memorial, Mentor, muted, OH, ohio, Succulent, water, window. Bookmark the permalink. This is an interesting new way for me to think about taking photographs. It adds more feeling to the photograph than just focusing on one subject. My favorite is the one taken at Lawnfield. You can actually feel the mood of the day. Thank you for the insight. Thanks Patricia! Yes, it can give a number of different looks and feels to the photographs! I’m glad it will lead you to trying some new ideas! Thanks for the comment and the comment on the Garfield photo! Kolman, these are not only exciting photographs — they’re an education in how to use my camera. Thank you! Thank you Lenore, glad it gives you some ideas and insights into using your camera! Thanks for the notes with the pics. now will try manual focus more often for some pics. Thanks for the comment Maryann! We forget about manual focus these days but there are times when we need it! Thanks Maria! Trying to stretch my wings occasionally! My shot at Lawnfield was thru a windshield. The others a greenhouse!